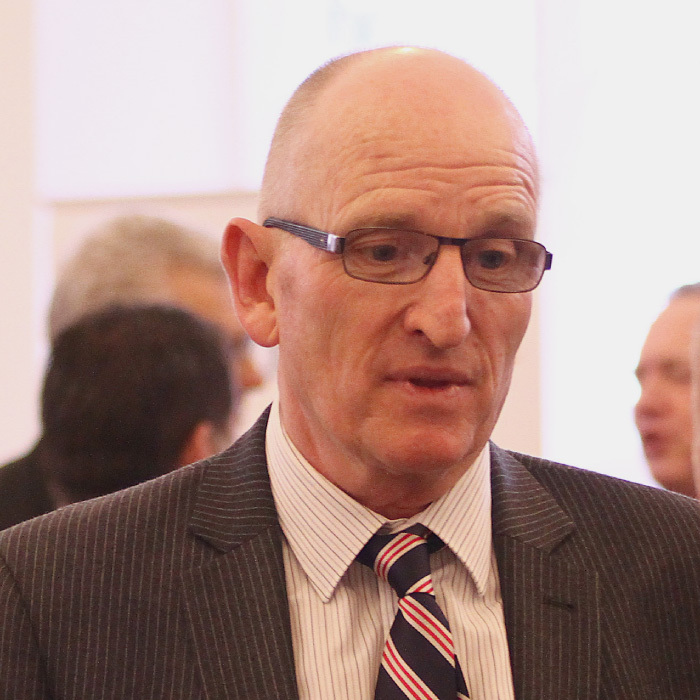 A former grocery retail director, Dai held senior positions in a number of well-known organisations including Somerfield. In 2009, Dai volunteered to be a member of the ProtecT study at Cardiff University, in which he had to undergo a biopsy and regular PSA testing. As a result of the testing, Dai was diagnosed with prostate cancer in 2011. Dai was treated by robotic prostatectomy in Bristol, as the surgery was not available in Wales at that time. Following his treatment, Dai joined Prostate Cymru to campaign for robotic surgery in Wales and raise awareness. Now heading the awareness team, Dai provides awareness sessions which combine his personal story with facts and humour. Andy was a teacher of Physical Education for 34 years, 10 in West London and 24 in Llantwit Major before retiring in 2013. He played and coached semi-professional basketball, representing England at all age levels. 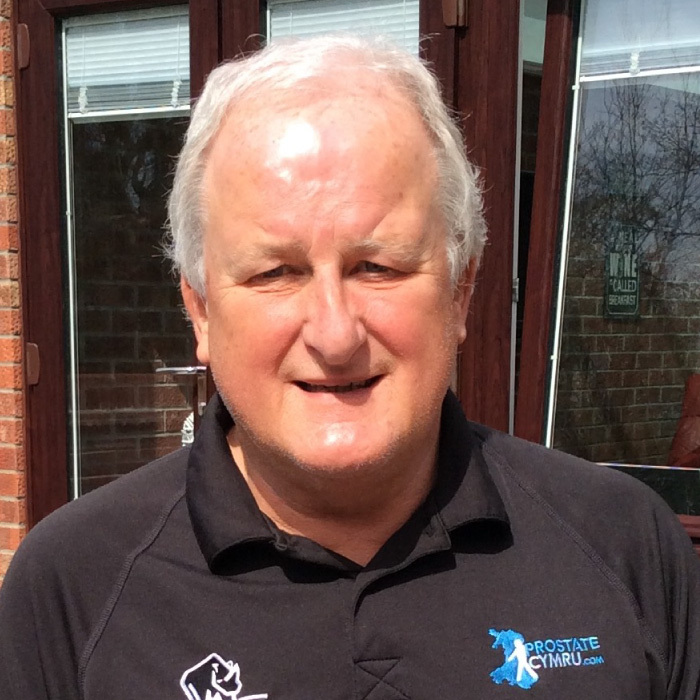 He has coached Welsh national teams at all age levels. He is still involved in youth basketball in the Cardiff area. In November 2014 Andy was diagnosed with prostate cancer. Fortunately, his cancer was detected at an early stage so it could be dealt with quickly. He now delivers awareness talks so that more men in Wales have a better understanding of the problems of the prostate gland. Andy is married to Emma. He has two children, Rachel and Matthew. Professor Kevin Davies MBE is an emeritus professor of nursing and disaster healthcare of the University of South Wales. After training as a nurse in the late 1970s Kevin joined the army and Territorial Army in the 1980s, utilising and sharing his knowledge of emergency and disaster nursing on several deployments across the world. Kevin was appointed as the Queen’s Honorary Nurse for 2009 – 2012, undertaking a range of royal duties. Kevin was diagnosed with prostate cancer in 2012 and was treated by robotic prostatectomy in Bristol as the surgery was not available in Wales at that time. Kevin was instrumental in petitioning the Welsh Government for robotic surgery and supporting Prostate Cymru’s Operation Robot campaign. Kevin is a former Police Inspector who served in the South Wales Police force. 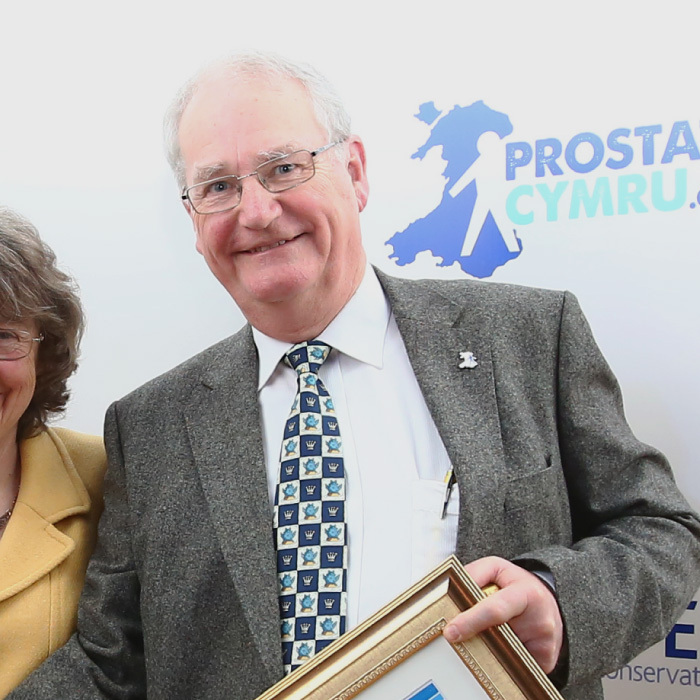 Having had no knowledge of prostate cancer prior to his diagnosis in 2013, Kevin decided to get involved with Prostate Cymru and is committed to spreading the word about the disease to help others. Kevin successfully completed treatment for prostate cancer in 2016. In addition to being part of the awareness team, Kevin is a keen fundraiser who organises an annual golf day at Maesteg Golf Club as well as supporting the charity’s own golf day and volunteering for The Big Walk. Brian Harries works in hospitality, running the grade two listed Bristol Trader Pub and Restaurant in Haverfordwest with his wife Margaret. 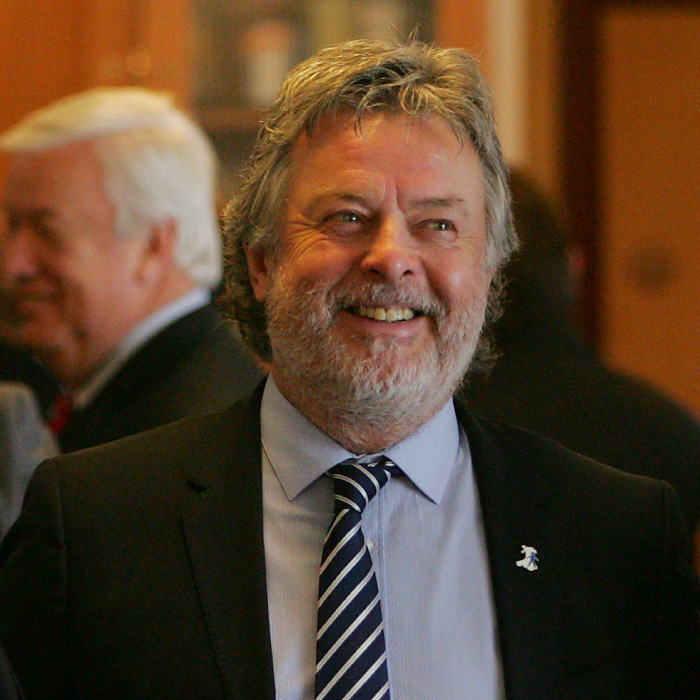 Brian has been the Chairman of the Pembrokeshire Friends of Prostate Cymru since late 2014. Brian began fundraising at the age of 16 as a Young Farmer and his dedication to a number of charities since was recognised in 2017 when he was awarded a British Empire Medal for services to charity. 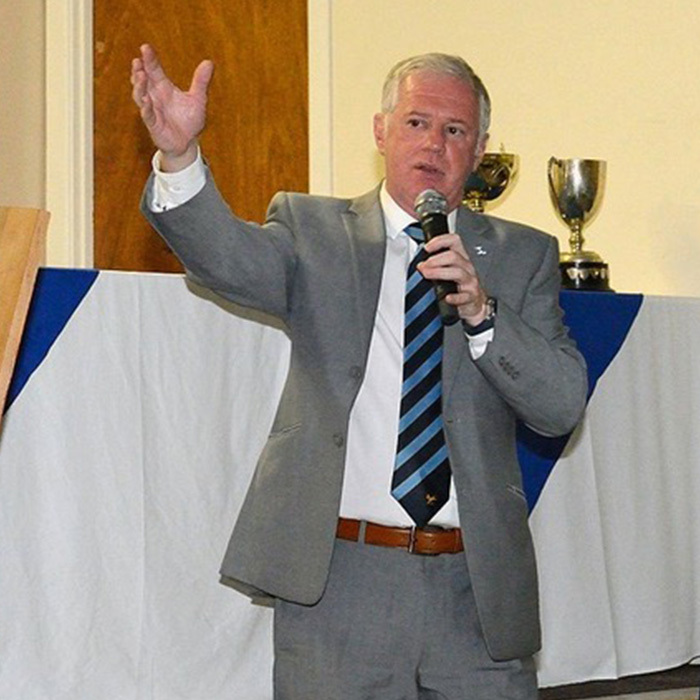 An accomplished speaker and charity auctioneer, Brian enjoys providing awareness talks about prostate issues and is passionate about raising awareness across Wales. Clive is a care assistant in Neath Port Talbot. Clive is a trained first aider for Kenfig Hill RFC and volunteers his skills for The Big Walk to assist participants with minor injuries. Clive was diagnosed with prostate cancer and shares his story at awareness events to help improve Welsh men’s understanding of prostate issues. Simon Marriott is a regional manager at a national insurance company. Simon joined the awareness team in 2018 and is keen to raise awareness of prostate issues especially in younger men, having been diagnosed with prostate cancer himself at 44 years old. 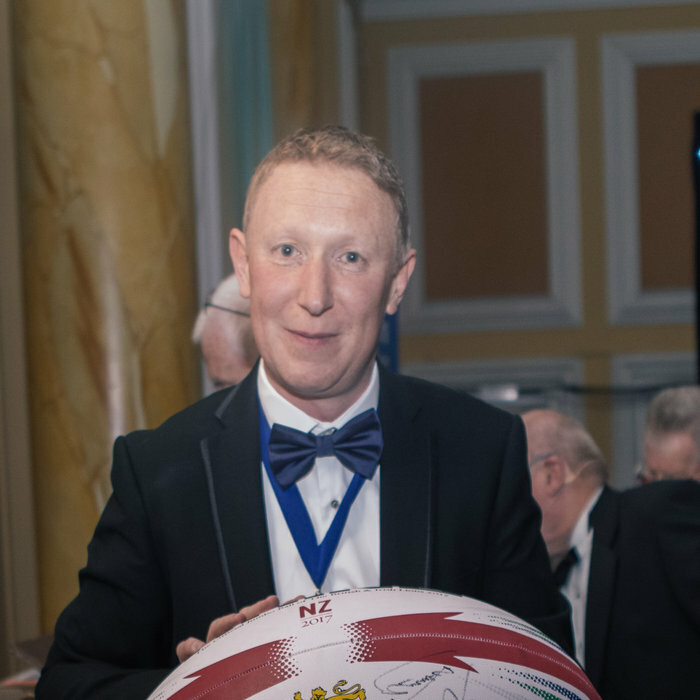 In addition to raising awareness Simon has raised funds for the charity, most notably during his year as President of the Insurance Institute of Cardiff. During his year in office Simon organised fundraising events such as a charity golf day, strawberries and champagne afternoon, a grand dinner and completed a skydive! Simon Moffett is a Chartered Mechanical Engineer who retired from a career in oil refining several years ago. Since then he has refurbished houses for his two daughters, built sets for pantomimes and other drama, and started writing his own stuff. A former colleague, two weeks before he died of prostate cancer, made Simon promise to keep a regular check on his PSA. 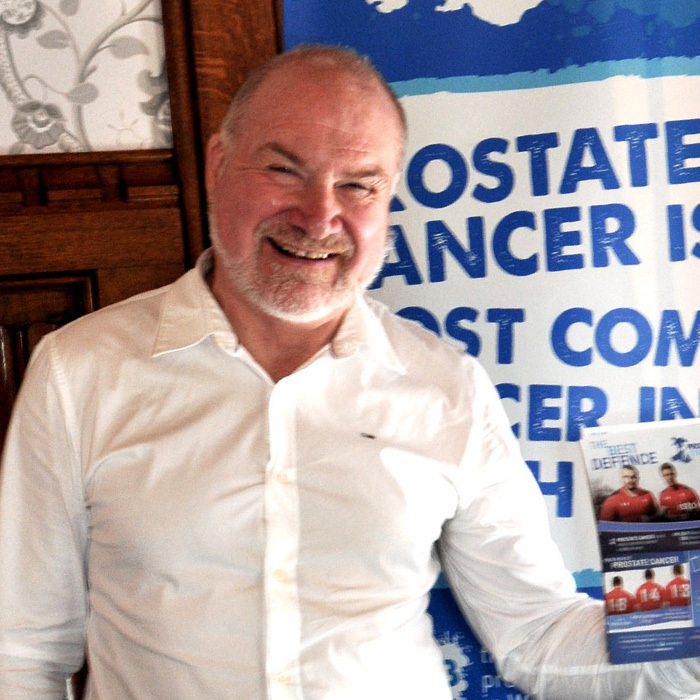 After growing a beard which raised money for Prostate Cymru, Simon became involved with Pembrokeshire Friends of Prostate Cymru and saw the opportunity to continue to practice his presentation skills. Inspired by Henry Durrant’s (Fundraiser of the year 2015) fundraising feat of running around the Pembrokeshire coast path in a week, Simon set off on his own fundraising project taking his 80 year old car Jemima to France and was named Fundraiser of the Year 2016. Byddai’n hapus gyflwyno yn y Gymraeg hefyd. Ian began his working life in hotel management before changing his career to office technology sales. 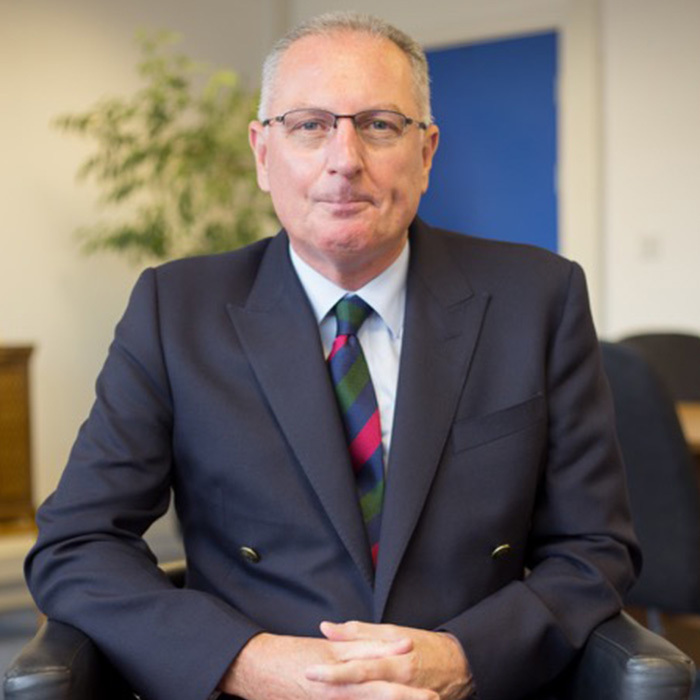 Ian owns and operates Bridgecall, an Independent Telecommunications Consultancy based in Penarth, advising and assisting Welsh industry and commerce implement all aspects of telecommunications technologies. In 2015, Ian offered to volunteer some of his time and business experience to help Prostate Cymru. Being in the typical age group of men with prostate issues, Ian decided to look into his own health and was diagnosed with not only an enlarged prostate, but also early stage prostate cancer, which is being actively monitored. This spurred Ian on to join the charity’s awareness presentation team.